Ethereum has 40 times more developers than its closest peer. But 86 percent of ETH DApps had zero users today–and 93 percent had no transactions. 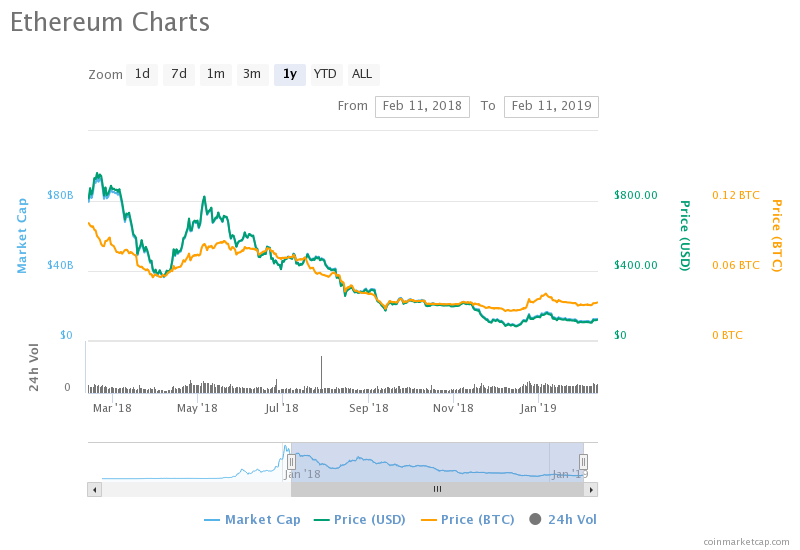 Much of the Ethereum community shrugs off the fact that the price of ETH 00 has been on a (pretty much) year-long freefall. After all, it’s not designed to be money anyway, but a developer platform with the largest number of DApps and developers in the industry. Is it not just a little bit worrying, then, that the sweeping majority of ETH dApps are little more than tumbleweed blowing in the wind? The main topic of conversation in the industry is always how to bring cryptocurrency to the masses. How blockchains can overcome their multiple issues, scale to onboard more users, uncomplicate their cumbersome processes, improve security, and convince users their offer is better. But when you look at the statistics below, it’s clear that we’re nowhere near that point yet. There are now 1375 live ETH dApps. 86% of them had 0 users today. 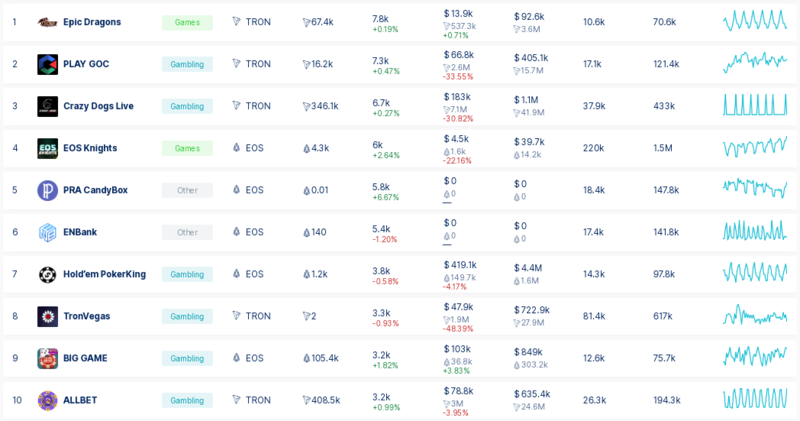 93% of them had 0 tx volume today. Across all platforms there are now 1828 live dApps. 77% of them had 0 users today. Of the 1,375 live ETH DApps, most of them have next-to-no users or transactions. This is not a new problem for Ethereum, though. In fact, we reported back in July of last year that just two self-confessed pyramid schemes were the most popular DApps on Ethereum at the time. It seems that finding a consistent user base is more problematic than some people thought. A quick glance of the top 10 DApps on DappRadar at the moment shows that the most popular ones are with gamers. 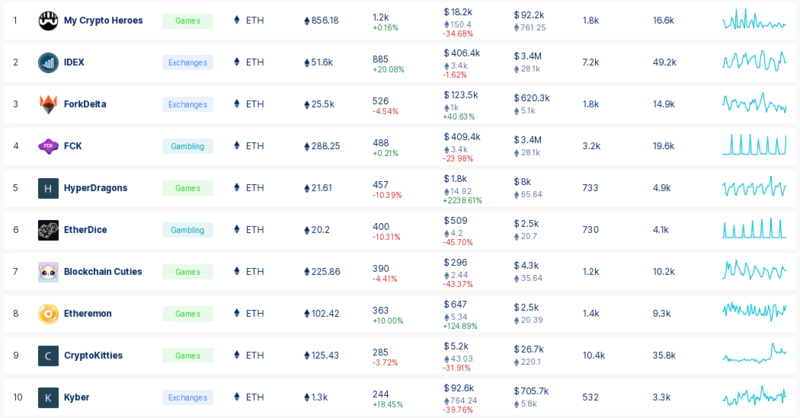 7 out of 10 of the highest performing DApps currently are in the gaming or gambling categories, with the other three being exchanges. Despite the low usage figures, ConsenSys MD Lory Kehoe told Bitcoinist that he was still very much convinced in the longevity of Ethereum. Ethereum is increasingly seen as the most versatile platform for enterprise solutions and the developers who are applying to work at ConsenSys know this… To give it to you in numbers Ethereum has 40 times the number of developers than our closest peer has. The problem isn’t only with Ethereum, either. In fact, of the 1,828 live dApps on all platforms, 77 percent had zero users and 85 percent had no transactions today either. Exchanges are also crawling up the rankings with decentralized exchanges like IDEX. But with just 885 users in the last 24 hours, there are plenty of personal blogs that get more hits than that. If cryptocurrency naysayers wanted more proof of lack of adoption, they need look no further than DAppRadar. This clearly shows that despite the tremendous hype, speculation and not usage drives cryptocurrency value. To further demonstrate that point, several major cryptocurrencies are tied to blockchain platforms, including Polymath, and aelf. 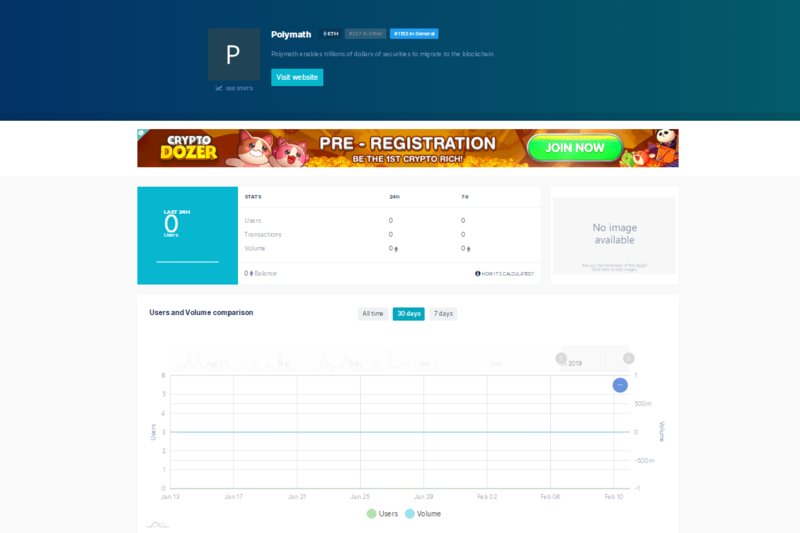 Just take a look at Polymath’s performance over the last week–yet it still has a market cap of over $28 million. Are all altcoin investors completely delusional? Perhaps. Although, speculation may drive price, but so does the belief–and hope–that at some point in the future these dApps will actually accomplish what they set out to. Are dApps failing to live up to the hype or is it still too early? Share your thoughts below!